This game is nice! 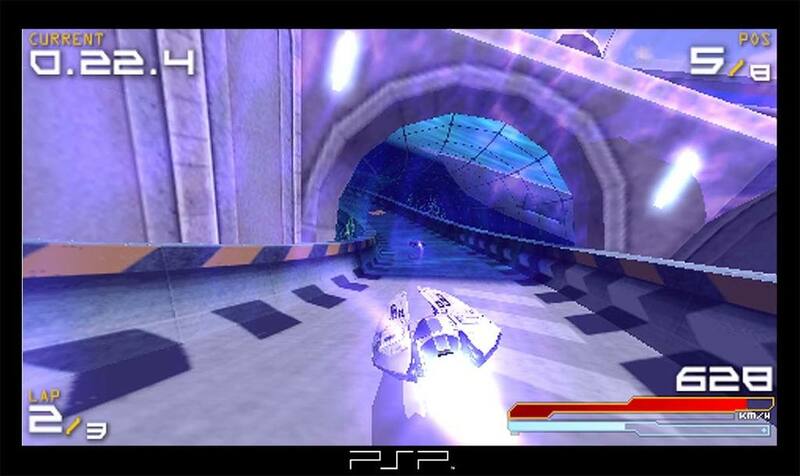 It takes the Wipeout franchise along to the PSP and then shows the world that it still has what it takes to present all gamers with something that will appeal to them. 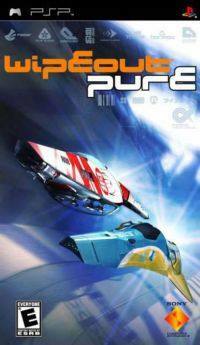 Wipeout is fast paced futuristic racing that looks absolutely lovely on the hand held format and was the first title that I saw on the unit that took my breath away. You get to hop into the cockpit of a hovercraft straight from the future and race them at incredible speeds on some of the most outrageous tracks around beautiful exotic landscapes. The sound on Wipeout is an audiophile’s delight with a lot of time and effort put into making sure that this title looks and sounds like the real deal. The combination of the roar of the engines, weapons fire and other environmental sounds is enough to make your pulse race. One of the few complaints that gamers might have about the title is that it occasionally suffers frame rate problems when there is a LOT of action on the screen, never quite fulfilling it’s potential of 60fps. So other than a slight shudder when the going gets tough, it’s all good in the hood. The difficulty factor raises itself the further you get through the game with the higher classes of ship being a lot more like a feisty mare than the more sedate ponies that come before it. 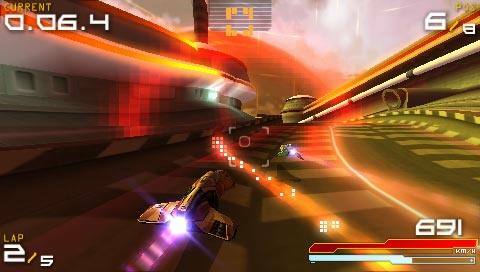 Weapons are similar to others in the franchise and if you have played a Wipeout game before then you are not going to feel too lost. There is a slight learning curve with the title with emphasis on being able to make your way around the course and the ever present sharp turns that will see gamers learning how to manipulate the brakes and gas at the same time to really rocket around the course. The game is simply amazing in terms of its imagery and was the sort of title that deserves the treatment to the big screen (television). The attention to detail will have you staggered with even small bystanders watching the action unfold around them. I can certainly recommend this as a title for you to show friends who may not be decided on whether or not to buy a PSP. There are heaps of tracks to enjoy but add to a sensational gameplay experience the ability to have a fantastic wifi gameplay with some friends. The setup is simple, one of you sets up a match, the rest join and the rest is history. The only down side is having to restart after each match! I can recommend this one no probs so get out the and love it up!